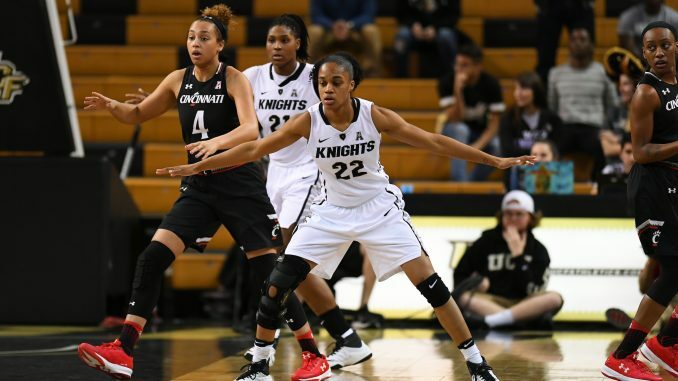 After a surprisingly successful 2016-17 season, UCF Women’s Basketball was looking to start off this year on a positive. Instead, the Knights struggled early and couldn’t recover, falling to Mercer at home 73-64. UCF’s new season got off to a very rocky start in the first quarter. The Knights struggled significantly on offense and missed a variety of shots, included a couple of wide-open layups. They also struggled to hold onto the ball, turning it over four times in the first five minutes. Senior forward Fifi Ndour, who finished the quarter with four makes on four attempts, was the only player to score for the Knights in the opening period. Mercer closed out the quarter with a 10-4 run to take a 12-point lead. UCF’s offensive struggles continued into the second quarter. It took almost 15 minutes into the game for someone other than Ndour to score, when redshirt senior guard Zakiya Saunders made a single free throw. The Knights finally got some offensive relief off the bench from junior guard Kayla Thigpen, who made a couple of easy jump shots and finished the half with six points. But it wasn’t enough to keep pace with the Bears, who shot 48 percent in the half. 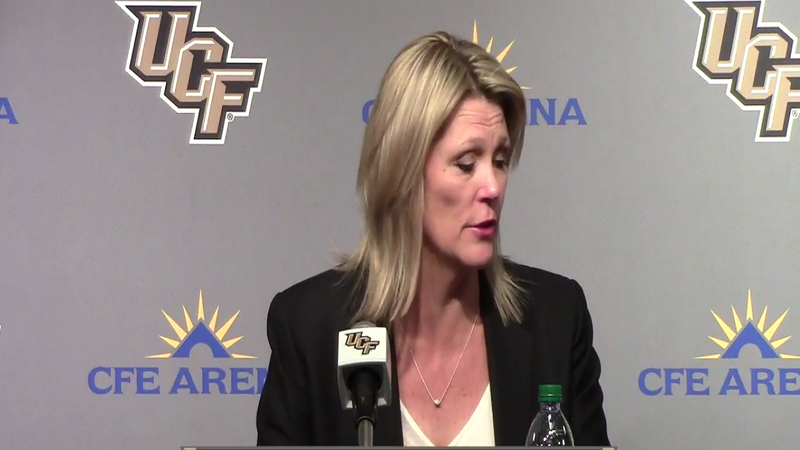 UCF also had a hard time containing Mercer’s long range shots. The Bears made six of their 11 first-half three-point attempts. Despite finally starting to click offensively towards the end of the half, the Knights went into halftime down by 13. Ndour finished the half with five makes on five attempts, while the rest of the team went 5-for-23. Coming out of halftime, UCF’s offense looked better as the team hit a couple of quick shots. But the Knights continued to struggle defensively as the Bears extended their lead thanks to a barrage of jump shots. Mercer scored 23 points in the quarter, pulling away from UCF and building up a 22-point lead going into the final quarter. UCF could not make a significant dent in Mercer’s lead and went on to lose 73-64, starting off the new season 0-1. Despite the loss, Ndour had an impressive game, finishing with 24 points on 10-of-11 shooting. UCF finally seemed to click on offense in the fourth quarter and, thanks to an improved defensive effort as well, were able to significantly cut into the lead. But the deficit was too much to overcome and the Knights went on to fall to the Bears.